After last week’s mini-heatwave it was very much back to normal for this week’s weather. Winds were in the west for many although a south-easterly flow out in the North Sea reached Shetland. In western Scotland conditions were rather less benign with some strong winds and heavy rain. By Sunday a cool, cloudy north or north-westerly flow had set in down North Sea coasts while conditions warmed in the lighter winds and brighter skies to the west. Much of the week was fairly quiet for the time of year but, in typical May fashion, the afternoon and evening of 14th produced, apparently out of nowhere, an astonishing concentration of outrageously rare birds……..
Top billing goes to the first half of an extraordinary Unst, Shetland double-act - a Marmora’s Warbler found on the afternoon of 14th at Baliasta. This classic long-range overshoot represents the seventh British record but given the species’ restricted breeding range (Corsica and Sardinia) and its short migration (to adjacent parts of North Africa) it’s quite a surprise that there are any records at all. 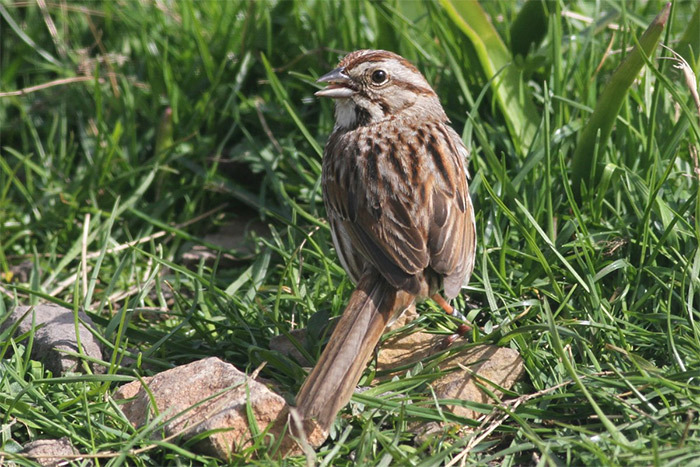 However, its occurrence pattern mirrors that of two other range-restricted Mediterranean passerines – Moltoni’s Warbler and badius Woodchat Shrike. The first British Marmora’s Warbler was the famous long-staying 1982 bird at Midhope Moor, South Yorkshire, with subsequent records from Yorkshire, Borders, Norfolk, Suffolk and, most recently, Gwent in 2010. In recent years what we once knew as ‘Marmora’s Warbler’ has been split into two species – Marmora’s Warbler and the very similar Balearic Warbler, breeding only on the Balearic Islands. Distinguishing the two can be tricky but due to the species’ discrete ranges this is normally a somewhat hypothetical problem. A vagrant, however, provides the opportunity to field-test the currently-understood criteria. 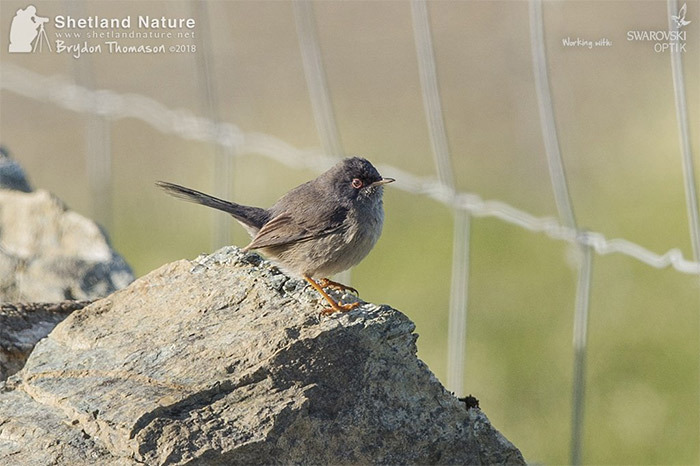 Initial images of the Unst bird suggested the presence of pinky-buff hues in the underparts (and therefore indicated the possibility of Balearic Warbler) but later photographs showed an appearance much more like a Marmora’s. No doubt the bird was well observed in the field, however, so any such issues have presumably already been ironed out. Sadly, though, there was no sign of the bird next morning. Next up on the afternoon of 14th was a male Black-faced Bunting at Norwick, Unst, found just after and just up the road from the Marmora’s Warbler! Unfortunately, as can be the case with rare buntings, its appearance seems to have been brief. This was also a truly unexpected discovery, with (in a neat piece of symmetry with the Marmora’s Warbler) only six previous British records as well. The first - at Pennington Flash, Greater Manchester in March and April 1994 - was seen by many but the species has subsequently become hard to catch up with, the five subsequent records - in Northumberland, Devon, Yorkshire and Shetland (two) - being either short-stayers or on remote islands. All but the Greater Manchester bird have been in October so this bird on Unst is therefore the first true spring migrant and is perhaps a bird which has wintered unnoticed somewhere in western Europe, perhaps even in Britain. Before the close of play on 14th Shetland produced yet another outstanding rarity, but this time on Fair Isle, at the opposite end of the archipelago. This was a Crag Martin , only Britain’s eleventh record and a splendid new bird for both the blessed isle and for Shetland. Scotland’s only previous record was on Mainland Orkney on 3rd May 1999. This bird was still present on 15th and, by all accounts, giving good views. Nor was Shetland’s purple patch over. 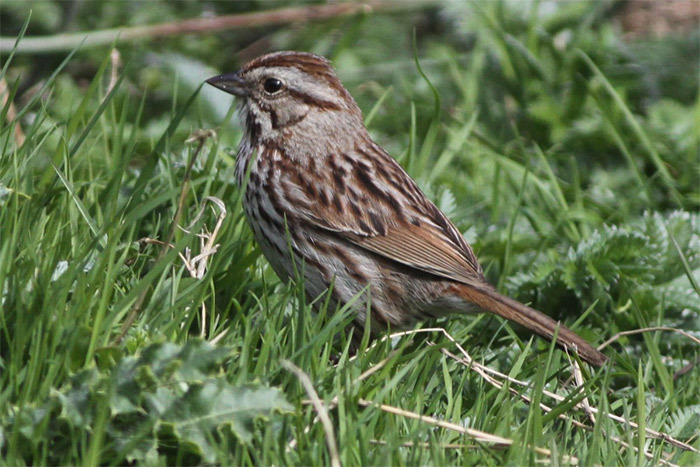 The early hours of 15th produced a fourth major rarity – a Song Sparrow on Fair Isle. This is only the eighth British record but Fair Isle has a dominant position with this species, this being the island’s fourth! All were in spring, as were others in Yorkshire, Gwynedd and the Isle of Man. 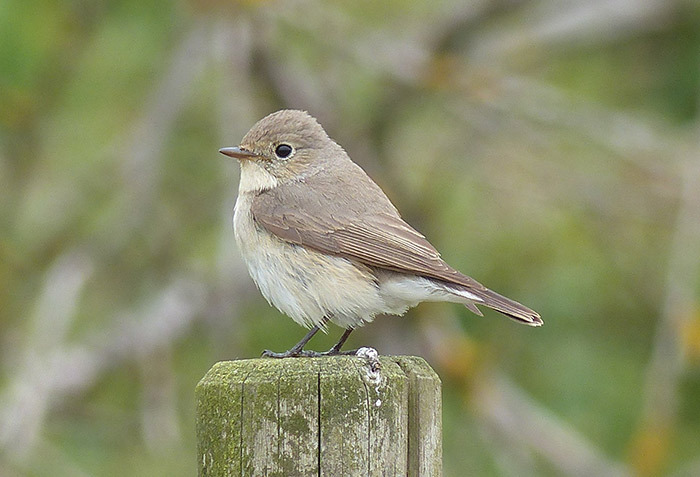 A bird at Seaforth, Lancashire in October 1994 is to date the only autumn record. And there was more….. By the afternoon of 15th a Terek Sandpiper had been found at the Pool of Virkie, Mainland Shetland. Although a little outclassed by nearby attractions this is still an impressive find, the sixth for Shetland and the first for the islands since one on Fair Isle in June 2007. Next in the rankings was a male Collared Flycatcher , also in the far north of Scotland. It barely registered on the radar, however, being reported on 9th only from a private site with no general access south of Watten, Highland. With no photographs visible anywhere either, this particular bird was well and truly ‘out of sight, out of mind’. Nevertheless, Collared Flycatcher is one of the classic spring rarities, the males being both dazzlingly beautiful and a true rarity. This would be the 48th for Britain and only the second for Highland, following a bird near Stoer (an even more remote location) on 12th June 2013. May is of course the traditional time for this species but Scotland accounts for the majority of records. Many will still remember the first truly twitchable English bird at Northdown Park, Margate from 24th May to 9th June 1984 but only a handful have been available since then. The chance to see one should therefore definitely be grabbed, and hopefully there is still time for another before the spring is over. Continuing Scilly’s recent good form was a splendid male Northern Harrier , present around St. Martin’s and St. Mary’s from 11th as a Montagu’s Harrier but reidentified on 12th and then remaining to 14th. 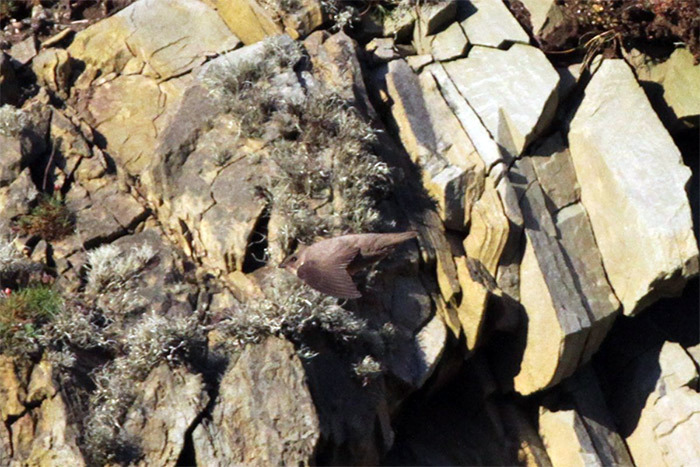 Photographs show a classic pattern of steely-grey plumage, restricted black in the primary tips, dusky bands through the upperwing and rusty marks in the underparts and underwings, confirming it as a male Northern. Although a perhaps surprising vagrant, this newly-split species is becoming something of an annual event these days, although few have yet caught up with it in anything other than juvenile plumage. This is the first for the Isles of Scilly since Britain’s very first here which lingered from October 1982 to June 1983. This bird provides an echo of the only other male seen in southern England – one which flew north at Portland, Dorset on 21st April 2014. Could it be the same bird? 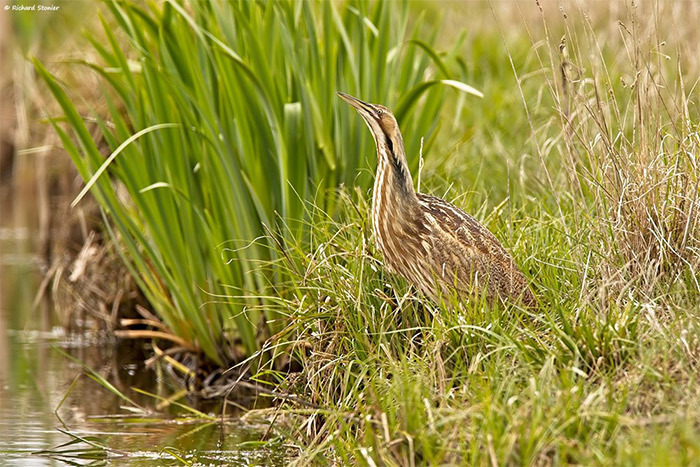 Meanwhile the American Bittern remained at Carlton Marshes, Suffolk to 14th but there was no sign of it on 15th. It was still very elusive, however, only being seen briefly (or heard) once or twice a day. Despite its absence on 15th, however, it might well still be present. Somewhat surprisingly, the first-winter female Snowy Owl was still lurking around the margins of the Wash this week, reappearing once more at Freiston Shore, Lincolnshire on 10th. Despite the previously tempting notion that it had already departed via Pembrokeshire or St. Kilda, it had clearly been in Lincolnshire the whole time, now giving itself up to admiring crowds once more. Mid-May is perhaps a strange time for a Snowy Owl to be lingering in southern England so a genuine departure is surely imminent. Although thought to have gone after a few days’ apparent absence, the drake American White-winged Scoter also reappeared at Musselburgh, Lothian on 12th. This week’s White-billed Divers included singles off Barra, Western Isles on 10th and Lossiemouth, Moray on 11th and 13th, five from a boat between Buckie and Portsoy, Moray with another off Cullen, also Moray, on 12th and two off Tory Island, Donegal on 13th. Otherwise, as is traditional in mid-May, northbound skuas dominated the headlines. Small numbers of Pomarine Skuas passed a number of sites up the Channel during the week but the largest numbers were as usual off Balranald, North Uist, Western Isles. Here 25 passed on 9th with another 52 on 10th and 21 on 15th. The highest counts elsewhere were 11 off Tawin, Galway on 9th, 14 off Saltcoats, Ayrshire on 10th and eight off Ballycotton, Cork on 11th. As for Long-tailed Skuas , 55 passed Balranald on 9th, 16 on 10th and eight on 15th. The only other sighting was of one at sea 16 miles south-west of Sumburgh Head, Shetland on 12th. Rare dabbling ducks were just that this week, the highlights being drake American Wigeons at Titchwell, Norfolk on 9th and Grindon Lough, Northumberland on 9th to 15th and drake Green-winged Teals at Loch of Strathbeg, Aberdeenshire on 9th to 10th, Loch of Hillwell, Mainland Shetland on 11th to 12th (accompanied by a very stripy-faced female teal – perhaps a Green-winged also? ), two on North Uist, Western Isles on 11th and one on Foula, Shetland on 13th. As for diving ducks, a Lesser Scaup was still at Inch Island, Donegal to 11th and Ring-necked Ducks were at Meikle Loch, Aberdeenshire on 10th to 12th, Burton Mere Wetlands, Cheshire and Wirral on 10th (a new bird for Wirral), Saltholme, Cleveland on 11th and South Uist, Western Isles on 14th. At sea things were quiet too – just the drake King Eider at Newburgh, Aberdeenshire to at least 15th and Surf Scoters off Musselburgh/Port Seton, Lothian (a drake) to at least 11th and Blackdog, Aberdeenshire (a female) on 15th. Things were relatively quiet in the rare herons department this week too, the only birds noted being Purple Herons at Silsden, Yorkshire on 9th, Hayling Bay, Hampshire on 12th and near Swindon, Wiltshire and at Shapwick Heath, Somerset on 15th. Glossy Ibises were at Druridge, Northumberland, Otley and Old Moor, both Yorkshire, Southport, Lancashire (two), Abberton Reservoir, Essex, Cullohill, Laois (four) and Grove Ferry, Kent. Completing the long-legged birds, White Storks were at Sparham, Norfolk on 9th, Tophill Low, Yorkshire on 10th and 11th, Manby Flashes, Lincolnshire on 12th and Molesey, Surrey and Arlington Reservoir, Sussex on 14th. The usual May raptors put in a showing this week. Black Kites were reported at Lowestoft, Suffolk on 9th, Tonbridge Wells, Kent on 10th, Sevenoaks, also Kent, and Bar Hill, Cambridgeshire on 11th, Minsmere, Suffolk on 12th, Bardsey, Gwynedd on 13th and Skomer, Pembrokeshire and Stutton, Suffolk on 14th. The week’s only Red-footed Falcon was a male at Winterton, Norfolk on 9th. Montagu’s Harriers were at Foulsham, Norfolk on 9th, Titchwell, Norfolk on 10th, Stewarton, Argyll on 12th, Combwich, Somerset on 14th and Garthorpe, Lincolnshire on 15th. A female also lingered at Blacktoft Sands, Yorkshire. Honey Buzzards were at Burnham Overy Staithe, Norfolk and South Woodham Ferrers, Essex on 9th, Sevenoaks, Kent and Titchwell, Norfolk on 11th, North Ronaldsay, Orkney on 12th, Littlestone-on-Sea, Kent, Wicken Fen, Cambridgeshire and North Ronaldsay, Orkney on 13th, Chearsley, Buckinghamshire and Bough Beech Reservoir, Kent on 14th and Sandwich Bay and Sissinghurst, both Kent, on 15th. Right on cue in mid-May, Temminck’s Stints led the wader line-up. Singles of were well scattered - at Saltfleetby St. Clement, Lincolnshire on 9th, Sanday, Orkney on 10th, Buckenham Marshes, Norfolk on 10th to 11th, Middleton Lakes, Warwickshire on 11th, Trimley Marshes, Suffolk on 11th to 13th, Marshside, Merseyside on 11th to 12th, Saltholme, Cleveland on 12th and 15th and Cley, Norfolk on 12th to 13th. Also a typical bird of mid-May, Dotterels were noted at Hallington Reservoirs, Northumberland (up to six), Fair Isle, Shetland (six), Davidstow, Cornwall (four), Dunbar, Lothian (four), Ingleborough, Yorkshire (four), Cross Fell, Cumbria (three), Collieston, Aberdeenshire (three), North Uist, Western Isles (three), Lairg, Highland (two), Lewis, Western Isles (two), Flamborough Head, Yorkshire (two), Aldeburgh, Suffolk, Soar, Devon Pendle Hill, Lancashire, South Stack, Anglesey, Bryher, Isles of Scilly, Danby Beacon, Yorkshire and Bredon Hill, Worcestershire. The rarest waders were American, however, all in the west – a Semipalmated Sandpiper on the beach at Balranald, North Uist, Western Isles on 12th to 15th, a nice spotty Spotted Sandpiper at Portbury Wharf, Somerset on 11th to 13th and a Lesser Yellowlegs at Vatersay, Western Isles on 9th to 12th. 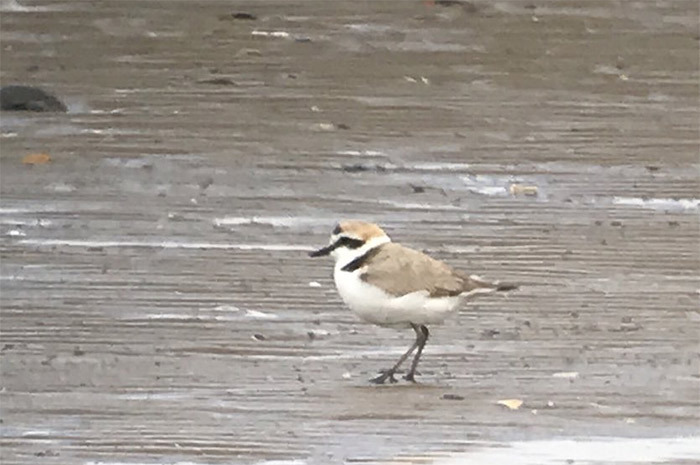 Other Palearctic wader highlights included a Kentish Plover at The Naze, Essex on 13th to 15th, a Red-necked Phalarope at Grindon Lough, Northumberland on 9th to 11th and several Black-winged Stilts – one at Frampton Marsh, Lincolnshire on 9th and 11th and then at Welney, Norfolk on 12th and 13th, two at Bowers Marsh, Essex on 10th and 11th and one at Old Hall Marshes, Essex on 15th. With Dotterel, Red-rumped Swallow and Snowy Owl all at or near Frampton recently as well, this reserve has had a pretty outstanding spring! The rarest gull of the week was the Laughing Gull commuting between St. Martin’s and St. Mary’s, Isles of Scilly on 10th to at least 14th. However, lingering white-winged gulls (a particularly noticeable feature of this spring) were still around in surprisingly good numbers. Up to 25 Glaucous Gulls were logged, mainly in northern Scotland but unseasonal English and Welsh birds were at Royal Wootton Bassett, Wiltshire and Blackburn, Lancashire on 9th, Llandulas, Conwy on 10th and 12th and St. Mary’s Bay, Kent, Warkworth, Northumberland and Exton, Devon on 11th. In Ireland one was at Arklow, Wicklow on 9th. Iceland Gulls were also prominent. In Scotland birds were at Unst and Fair Isle, both Shetland, Arbroath, Angus, Balnakiel, Ullapool and Scrabster, all Highland, Birsay and Marwick, both Orkney and North Uist and Barra, both Western Isles. In Ireland birds were at Killough, Down, Limerick, Co. Limerick, Tory Island, Donegal, Arklow, Wicklow and Mutton Island and Nimmo’s Pier, both Galway, with, in England and Wales, birds at St. Mary’s, Isles of Scilly, Angle and Newport, both Pembrokeshire, Paull Holme Strays, Yorkshire, Brixham, Devon and Shawell, Leicestershire. ‘Kumlien’s Gulls’ were still on South Uist, Western Isles on 9th and North Ronaldsay, Orkney on 12th. The week’s only Ring-billed Gulls were at Porth Reservoir, Cornwall on 9th and 11th and Newquay, also Cornwall, on 13th. Turning to terns, an adult Forster’s Tern was at Tacumshin, Wexford on 11th and there was some up-Channel movement of Roseate Terns with birds at Hayling Island, Hampshire on 9th and Burton Bradstock, Dorset, Porthgwarra, Cornwall (three) and Dungeness, Kent on 11th and two more off Porthgwarra on 13th. Another was at Southfield Reservoir, Yorkshire on 13th. Still present this week were the Savi’s Warblers at Minsmere, Suffolk to 14th and Strumpshaw Fen, Norfolk to at least 15th. Another was at Romsey, Hampshire on 10th. Iberian Chiffchaffs were still at Thurstaston, Cheshire and Wirral to at least 15th and Polgigga, Cornwall to at least 14th. The most notable passerine event, however, was a small arrival of northbound Scandinavian birds, most notably a mini-influx of delightful Bluethroats to the Northern Isles from 9th. On Shetland eight were on Fair Isle, two on Foula, two at Quendale, Mainland and singles on Noss, Unst, Whalsay, Out Skerries and, on Mainland, at Grutness, Rerwick, Sandwick and Scatness. On Orkney, two were on North Ronaldsay and one on neighbouring Sanday. One on the Farne Islands, Northumberland on 12th and Coquet Island, also Northumberland, on 15th also fitted the pattern nicely but another at Dundalk, Louth on 12th was much more unusual, as was one at Lodmoor, Dorset on 14th. Another was at Landguard, Suffolk on 15th. Occurring at the same time were a number of Red-backed Shrikes . Again, Shetland had most with birds on Fair Isle (two), Unst and, on Mainland, at Brakkasetter and Hillwell. Another was on North Ronaldsay, Orkney. Further south, singles were also noted at Bardsey, Gwynedd, Brownstown Head, Waterford and Dungeness, Kent with one or two at Spurn, Yorkshire and two at Low-Newton-by-the-Sea, Northumberland. Continuing the Scandinavian and eastern European theme, a Rustic Bunting was on Brownsman, Farne Islands, Northumberland on 14th, a Red-throated Pipit at Boyton Marshes, Suffolk briefly on 11th, Wrynecks at Sheringham, Norfolk on 9th to 10th and in the New Forest, Hampshire on 12th, Marsh Warblers at Fife Ness, Fife on 12th and on Whalsay, Shetland on 12th and 13th, Red-breasted Flycatchers at Spurn, Yorkshire and Sumburgh, Shetland on 14th and Blakeney Point, Norfolk on 15th, Grey-headed Wagtails at Musselburgh, Lothian on 9th to 10th and Noss, Shetland on 10th and a Common Rosefinch at Holyhead, Anglesey on 15th. Mediterranean overshoots were, by contrast, relatively few. The best was a male Black-headed Wagtail at Happisburgh, Norfolk on 12th but also logged were Hoopoes near Preston, Lancashire on 12th and at Slimbridge, Gloucestershire on 13th, Serins at Havant, Hampshire on 9th and Land’s End, Cornwall on 12th, Red-rumped Swallows at Reculver, Kent on 10th and Shingle Street, Suffolk on 12th, Bee-eaters at Dungeness, Kent (two) and Aberfoyle, Forth on 11th, St. Martin’s, Isles of Scilly on 13th, Spurn, Yorkshire (two) on 14th and Sandwick, Mainland Shetland on 15th, a Great Reed Warbler briefly at Lakenheath Fen, Suffolk on 12th and a Golden Oriole at Leigh Woods, Somerset on 13th. Further afield, there was, as befits the season, a truly mixed bag. The Dwarf Bittern was seen again on Fuerteventura, Canary Islands whilst, closer to home, an Elegant Tern and a Trumpeter Finch were in France, a Pallas’s Warbler in Spain, a Rock Thrush in Denmark, a White-winged Lark in Finland, a White-winged Scoter in Sweden, a Steppe Eagle in Latvia, a Collared Flycatcher and an Eastern Bonelli’s Warbler in the Netherlands, a White-tailed Plover in Italy, a Black-eared Wheatear in Norway and a White-winged Crossbill (i.e. an American bird) in Iceland. In Germany the Black-browed Albatross continued to consort with its Mute Swan friends at Sylt. Looking ahead, the early part of the coming week promises a run of cold northerlies. This hardly looks brilliant but, as we’ve seen this week, in mid to late May all bets are off. Over the next three weeks some more top quality birds are near-guaranteed but what they will be is, to say the least, difficult to predict. Who, for example, would have predicted any of Shetland’s top birds this week? This is the joy of spring though, in many ways much less predictable than autumn. One thing seems certain, however. This is still early in the season for the Northern Isles and there is surely more to come….